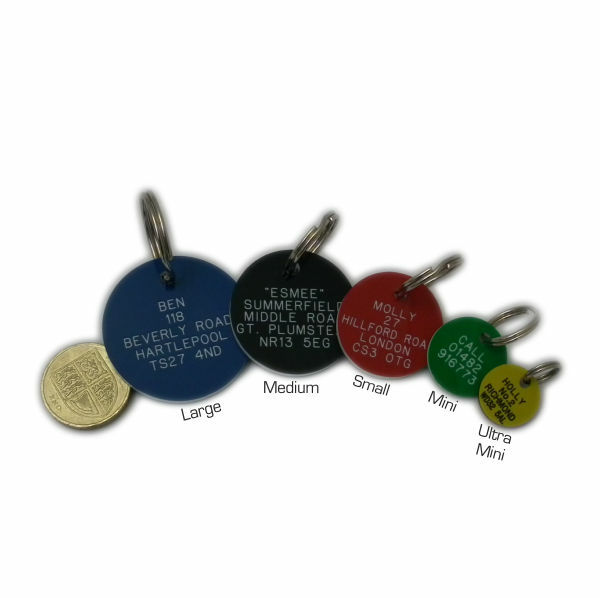 33mm (1.3") Diameter Plastic dog tag. 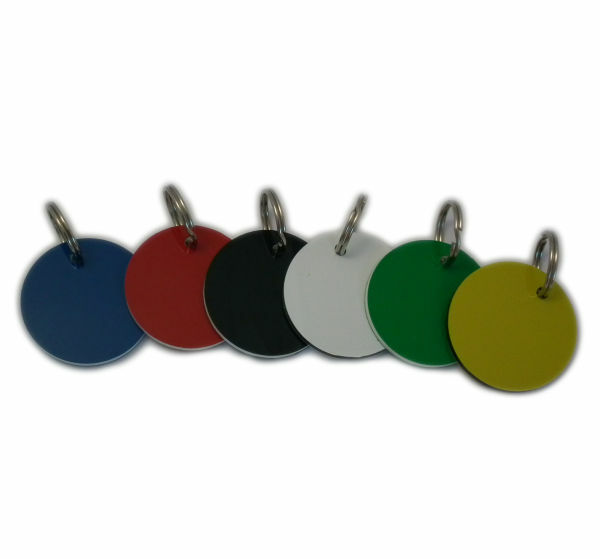 Highly durable coloured plastic pet tag, 3mm thick. The dog tags are hardwearing but also light weight. 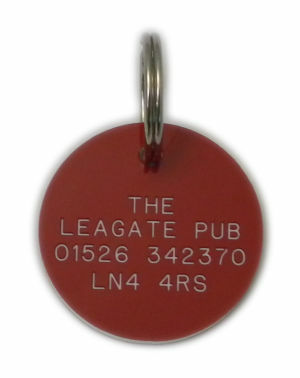 Engraved on both sides with your pets details, name, address and telephone number or any other information you require. Engraving is permanent and with a sharp contrast. Available in 6 colours. Black with white text - blue with white text - green with white text - red with white text - white with black text - yellow with black text. "Very impressed with clarity of ingraving"
"Quality disc ,quick delivery.Clear easy to read details.Perfect! I had the medium,just right for my golden retriever."